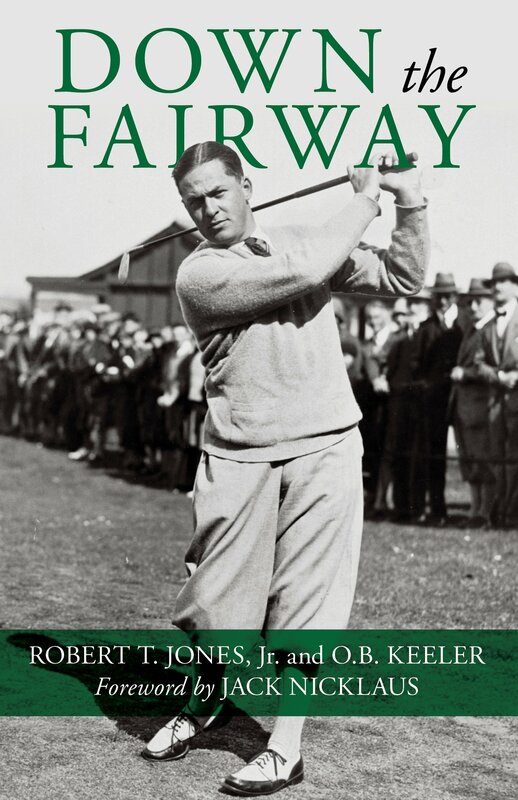 Originally published in 1927, Bobby Jones’s Down the Fairway has become what Sports Illustrated calls “an incontestable classic.” Part memoir, part golf instructional, part golf history—and including wonderful vintage photographs—Down the Fairway is a must read for all who care about this most fascinating sport. Amazingly, Bobby Jones—along with sports journalist O.B. Keeler—wrote this book when he was only 24 years old. His thinking was that, having just become the first golfer ever to win both U.S. and British Open titles in one year (1926), he would never perform at such a high level again. It seemed a good time, then, to tell his story. In an age of big money, lucrative endorsements, TV contracts, and pouting millionaires, this earnest volume comes as a breath of fresh air. Infused with Jones’s deep knowledge of and pure passion for the game, it evokes a long-ago time when an amateur could be the best in the world. About the Author – Robert T. (Bobby) Jones Jr. was an Atlanta lawyer who also happened to become, arguable, the best golfer who ever lived. His ultimate achievement came in 1930, when he became the first and only golfer ever to win the Grand Slam in one calendar year. He promptly retired from competitive golf, returned to his law practice, and subsequently founded Augusta National Golf Club, site of the annual Masters Tournament. Golf BooksRobert Trent Jones Sr.